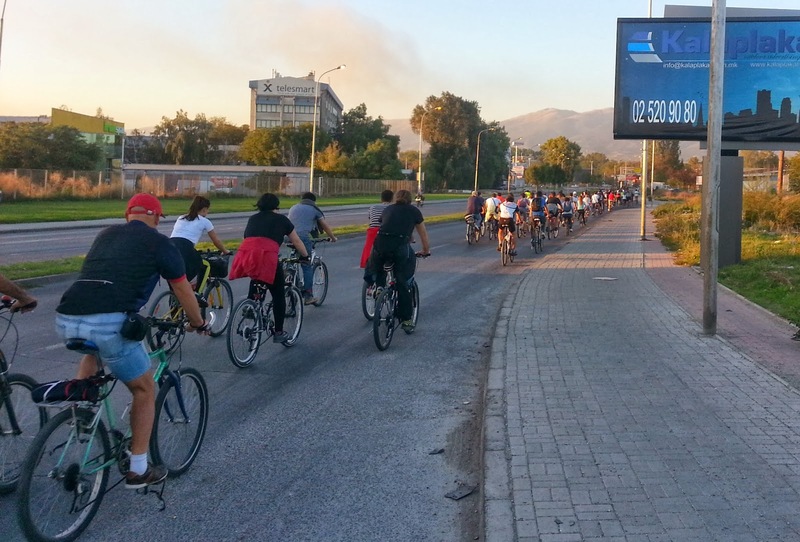 Yesterday around 200 riders participated in the Critical Mass #17 in Skopje, Macedonia. 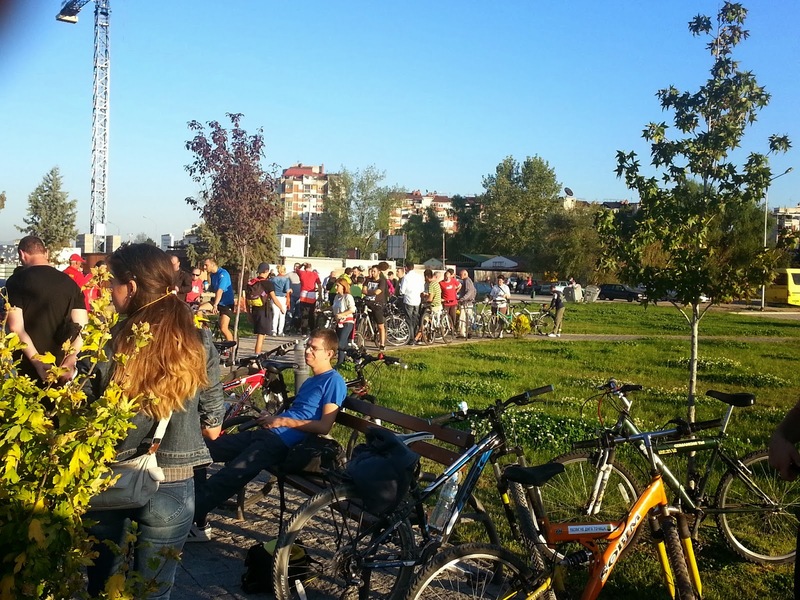 We started from the Park of the Lakes in the municipality of Aerodrom, and did a route of around 12 kilometers. The participants were a very colorful group, and Critical Mass was joined by whole families (parents and children), uni-cyclists, skateboarders and even a dog! The pace was slow, and the group was generally greeted with smiles and cheering from pedestrians and people in buses and some honking from cars. 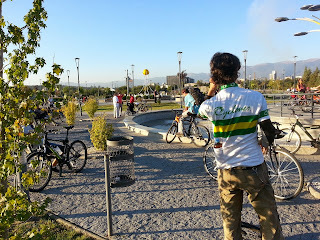 There were no incidents, apart from a single BMW trying to pass the Critical Mass by driving on the sidewalk, with poor results since it was stopped by the pedestrian onlookers. It is my first ride in a Critical Mass. It is a very positive experience, with everyone in good spirits and supporting each other. 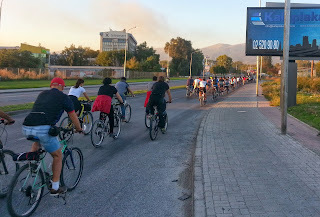 The organizers were great, with very efficient management of motor vehicle traffic to keep the group safe as well as good control of the group to keep within the rightmost lane and not occupy the entire road. Sounds like a great event, one I would've enjoyed myself. There is so much positive energy in the event, and you depart with a really good feeling. If your city doesn't have a Critical Mass event, I really recommend one. Riding a bike is just thing that keeps my head free from negative thoughts and troubles. I wish I could ride more often these days and participate in such events as well.